The shelves at my favorite local bookstores devote considerable space to self-improvement and how-to books. There are books on how to be healthy, happy, and wealthy. Other titles advise potential readers on success, marriage, parenting, and living the good life. In many ways, the Bible, God’s revelation of truth and Himself, is an instruction book guiding us in ways to live life. Scripture encourages us to live a life pleasing to the Lord and to play well with others. The Bible offers a broad breadth of advice on life matters including experiencing joy, cheerful giving, and sound financial planning. Scripture also teaches us how to model our lives after Christ, how to pray, how to worship, how to grieve, and numerous other spiritual disciplines. Hymns and worship songs also help us grow in our spiritual life through sharing truths, turning our focus from ourselves to God and to others, and girding our faith. Songs express our thoughts and feelings about God and the work He has done, is doing, and will do in our lives as well as all around us. Spending time in God’s word and reading the words in your favorite church hymnal or songbook can do wonders for your outlook and spiritual growth. These invaluable resources provide us with the means to preserve and endure in our faith. They remind us to trust God because He is faithful and keeps His promises. What are some of your favorite church songs? Here are a few of my favorite hymns, worship, and praise songs. 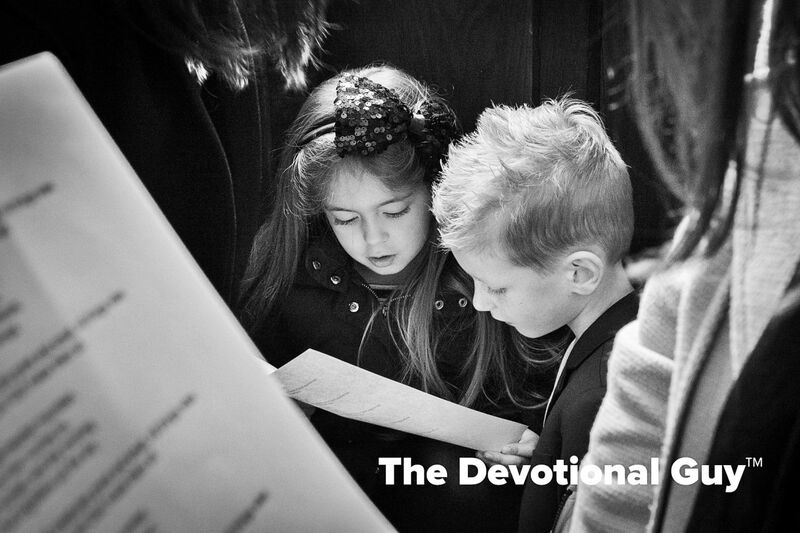 Alongside Scripture, songs help us connect with God, reflect on His goodness and grace, and remind us how to live like Jesus. Be sure and share your favorite hymns and spiritual songs in the comment section below. Enjoy reading The Devotional Guy™? Like us on Facebook and be sure to share this blog with your family, friends, and neighbors. Amazing Grace played on bagpipes is the best song ever. In the history of music. I had it played at my dad’s funeral. It also ties into my recovery. Just fantastic, man. It’s cool that you can play bagpipes. Learn something new every day. I’ve heard it played on bagpipes and love that too. It’s just a rich song. Glad you were able to honor your dad in that way. That would be a pretty interesting post on how Amazing Grace connects to recovery. I can certainly relate. Blessings. Oh, I can’t! I’m a saxophone guy. I didn’t mean to leave the wrong impression. Ah. No worries. So you played sax at your Dad’s funeral? How great is our God. This song means a lot for me. That’s a fantastic song Scheska!